Reshape 2019 is looking for artists and cultural workers who have tried and managed to devise alternative models of working together or have engaged audiences in innovative ways. Apply to join one of five teams in developing transnational and experimental tools for supporting contemporary art practices, take part in the Forum where artists and cultural workers will discuss experimental practices around Europe and Euromed region, or send info about your work to become a part of the directory of experimental practices. Political, economic, technological, and ecological changes in society deeply influence the way in which arts are created, presented, and experienced. Not all artists have the same opportunities to present or collaborate internationally. Public policies, industry practices, and the market cannot ensure that diverse artistic voices and practices reach potential audiences across Europe. At the same time, artists work more and more across aesthetics, disciplines, national boundaries, and sectors. The institutional not-for-profit arts sector – both on the national and European levels – hasn’t been flexible enough to integrate these changes. How can the arts sector continue to be supported within this context? Reshape partners are convinced that artists and cultural workers are innovation experts. They are the ones who should invent future models for the arts sector. There are many innovative models and projects created by arts professionals around Europe and South Mediterranean who, eager to stay true to their values, experiment with different ways of engaging audiences, and connecting with other social sectors. These often fragile and unconnected projects are ‘weak signals’ of potential future models. Reshape 2019 is looking for such artistic initiatives, providing it with time and space to be further developed in a transnational and transregional context. (Re)imagine new models of organizing the arts sector. Reshape will support existing initiatives and projects experimenting with innovative models, creating an opportunity for artists and cultural workers to meet and exchange ideas. Concretely, it will devise five sustainable and innovative prototypes to five research themes posed below. Art and citizenship – How can art better support practicing citizenship together? Fair governance models – How to make open, inclusive and flexible governance models? Value of art in social fabric – How to encourage understanding of and promote the value of art in social fabric? Solidarity funding – How can solidarity funding encourage the vitality of contemporary arts in these uncertain times? Transnational / postnational artistic practices – What framework and tools do artists working transnationally need and how to provide them? Directory – mapping existing experimental practices in Europe and the South Mediterranean. Forum – the meeting of artists and cultural workers encouraging discussion and reflection on alternative practices. Trajectory Groups – each group gathered around one of the five above mentioned topics. In total fifty artists and cultural workers propose new models, strategies, and tools via workshops and remote work. Intensives – all participating artists and other professionals gather in two inspirational meetings to discuss and compare emerging ideas. Conference – participants share the process and result with broader arts and culture community. Publications – a collection of publications that raise important questions and share the results of the Reshape project. Simple and Basic: Become a part of the Reshape Directory. Map individuals, organizations, and initiatives dealing with alternative models and practices of organizing and collaborating, drawing threads among similar organizations in Euromed region. One Step Further: Participate in the Reshape Lublin Forum. Receive plane/bus/train tickets from Europe or the South Mediterranean region to Lublin, accommodation and catering covered. The Full Monty: Work with other individuals on a selected topic during the course of two years. Receive a compensation of 4.750,00 EUR including VAT and other taxes (for taking part in the whole process) and the coverage of travel and subsistence expenses related to project activities. The aim of Reshape is to imagine an alternative to the European arts ecosystem. It will do so by rethinking its instruments and collaborative models, placing them in line with artistic and social innovation and the principles of fairness, solidarity, geographic balance and sustainability. Reshape will develop and test an experimental bottom-up method. It will construct new narratives and new instruments that are appropriate to the evolutions of the arts sector and the society. By increasing the knowledge, competences, and reactivity of intermediary organisations in relation to today’s artistic experimentations, Reshape aims to influence public policies and integrate future policy instruments. For more information, contact info@reshape.network. The Clark Hulings Fund for Visual Artists (CHF) announces a call for artists for the 2019 Business Accelerator Program, an intensive year-long course of business study for professional working artists. Through this innovative web-based program, currently in its fifth year, the national nonprofit organization provides visual artists with business training needed to succeed as entrepreneurs and make a complete living through the creation of their art. To thrive economically, artists must fund and operate their businesses while creating salable work that still realizes their creative vision. Visual artists are fully capable of achieving these goals. They need access to the right resources and skills. This is the goal of CHF’s comprehensive 2019 Business Accelerator Program. The program is a year-long, intensive course of business study for visual artists. It is designed to impart the necessary business training to succeed as entrepreneurs and make a complete living through the creation of their art. Fellows in the program receive customized business training, publicity, network-building opportunities, and one-on-one support to boost their careers and help make their businesses self-sustaining. The program consists of broad strategic workshops and labs delivered by remote technology (a laptop or desktop computer is required). It provides participants with practical knowledge that is actionable in the real world. It includes information about how to develop a business strategy, build a compelling brand narrative, find buyers for their art, negotiate contracts, handle copyrights, communicate more effectively, and manage their finances and taxes. Each workshop is led by an expert in the pertinent subject matter. The labs are deep dives that include extensive time for Q&A. This allows Fellows time to obtain feedback on specific questions and hear the perspectives of their peers. 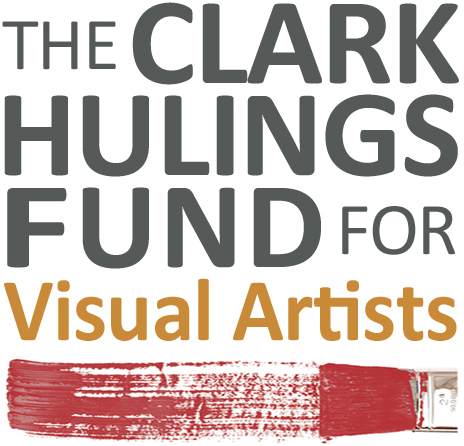 The Clark Hulings Fund for Visual Artists (CHF) is a 501(c)(3). CHF supports visual artists like Clark Hulings, a nationally acclaimed American painter who embarked on his career when he was 40 years old, abandoning a thriving profession as a commercial illustrator to (in his words) teach himself to be a gallery painter. He was fortunate that he could finance this transition himself with savings from his illustration work. Hulings believed that artistic development can and should occur continually. He never stopped trying to become a better artist, honing his craft until he was well into his 80s. He understood that no matter how great the talent or strong the discipline, the door to success swings on financial pegs. Career advancement is predicated on an artist’s ability to seize and exploit opportunities, especially unanticipated ones. This is why CHF offers exactly this kind of support. Hulings understood the challenges of being a representational artist at a time when abstraction reigned. For that reason, CHF supports visual artists regardless of the styles or movements in which they work. CHF’s intent is to help professional, working artists thrive economically from the art that they choose to create and to bring about the kind of comprehensive cultural change that fills our world with a wide variety of art. For more information, contact info@clarkhulingsfund.org. CASTRO offers a studio program for visual artists and curators, providing them with a workspace and pedagogical guidance. The emphasis at CASTRO lies on individual practice and close contact with a community of distinguished visiting lecturers – artists, writers, curators, and scholars. It is conceived as a small-scale alternative platform to explore critical education and community. At any time CASTRO can hosts up to five artists and one curator. Artists may apply to participate for a duration of four months (periods: from November to February; from March to June) or eight months (from November to June). Curators may apply to participate for a duration of four months (periods: from November to February; from March to June). The studio program selection panel is composed of international visiting lecturers from a variety of backgrounds. After evaluation and careful deliberation based on the submitted portfolios, the committee decides upon the admission of the applicants before end of September. This year’s selection panel will be Michael Archer, Will Benedict, Barbara Casavecchia, Maria Adele Del Vecchio, Alberto Di Fabio, and John O’Doherty. Tutorials: 50 minute one-to-one meetings in the studio with artists and other specialists in the field in order to talk about the artist in residence’s work. Studio visits: supporter’s or other’s (curators, artistic directors of foundations and museums, gallery owners, and collectors) private/guided visits in the artist’s studio in order to see and talk about his most recent work in an informal environment. Open studio days: whole days during which artist studios are open to the public. Excursions and guided tours of the city. Workshops with local artisans to deepen traditional Roman practices such as working with marble and cast ghisa (iron). Online blog hosted on CASTRO’s website. CASTRO is a multifunctional space founded to support artists, curators, and researchers. It promotes an experimental, versatile, and highly collaborative learning model both for the arts and the local community. This organization is the only non profit in Rome which offers a studio and program for free to artists and curators. It is independent from any other art organization and program. The studio spaces are in the neighborhood of Trastevere, in Rome’s historical center. CASTRO is connected with other projects in Italy and abroad. This offers residents the opportunity to enter into a network and start exchanges. This ensures the program maintains vital close contact with current issues in contemporary art. The project aims to expand this network from year to year. Artist talks: conferences with artists invited to talk about their work and their journey. Curator’s round tables: monthly round tables moderated by a young curator with three experts in the field to intervene on a chosen theme. Project presentations: founders of projects related to contemporary art are invited to talk about their activities and their experience. Cineforum: screening of a film and subsequent public debate. CASTRO’s main activities are crits. Crits are day long sessions to discuss works. Each artist’s work is usually shown for up to an hour to allow a conversation. Presenting artists can either sit back and listen to the feedback or answer questions. Any artist in Rome can sign up on CASTRO’s website to present their work. Anyone can participate to the discussion. This activity fosters exchanges between artists in residence in CASTRO, those in residence in foreign institutions in Rome, and Roman artists. For more information, contact info@castroprojects.it. Kala Art Institute announces a call for artists for the Kala Fellowship Award 2017 – 2018 international competition. Artists producing innovative work are encouraged to apply. Fellowship Awards are given based on conceptual creativity, originality, and artistic excellence as well as technical knowledge. Studio Residency: Up to six months of studio residency at Kala Art Institute with 24/7 access to our communal studio spaces. An individual studio space may be available depending on proposed projects and schedules. Exhibition: Each artist selected is included in an annual group exhibition of Fellowship artists. Public programs for artists are possible and determined on an individual basis. Please note that this is a studio residency only. Housing is not included. Students who will be enrolled in a degree granting program in the 2017-2018 academic year are not eligible for the award. Kala Art Institute encourages artistic experimentation. It was founded in 1974 by Archana Horsting and Yuzo Nakano as an international residency program rooted in the local community and a forum for ideas. Over four decades, it has progressed from a garage studio with one etching press and a single hot plate to a 15,200 sq. ft. facility in the historic West Berkeley Heinz building. Kala has grown steadily in the breath of its offerings and in the size of its operation. It remains true to its mission to be a workshop of ideas and engage the community through exhibitions, education, and public programs. For more information, contact amber@kala.org. S&R Foundation announces a call for artists for the Washington Award. 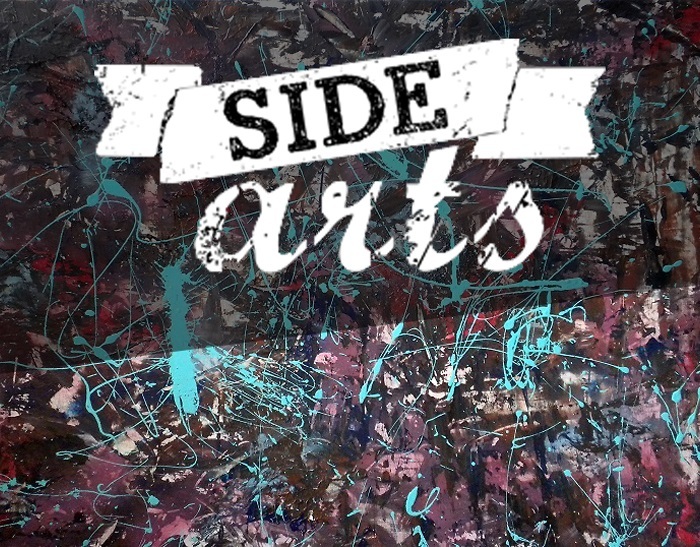 Are you an emerging artist looking to further your creative development? The Washington Award recognizes talented artists working in a broad range of disciplines including painting, photography, sculpture, music, dance, dramatic arts, film, digital, and interdisciplinary arts. Winners will be announced at the end of January 2017, and presented at the spectacular Washington Awards Gala in Spring 2017, an annual event hosted by S&R Foundation in Washington, DC. Winners receive a cash prize of $5,000 to support their career development. An additional $5,000 may be awarded to a Grand Prize-winning artist of outstanding ability. Award winners become part of the S&R Foundation network of artists, scientists, and social entrepreneurs. Award winners are eligible for performances or exhibitions supported by S&R Foundation. The S&R Foundation’s mission is to support talented individuals with great potential and high aspirations in the arts, sciences, and social entrepreneurship, especially those who are furthering international cultural collaboration. For more information, contact artsprogram@sandr.org. The Connecticut Sea Grant Arts Support Awards Program awards up to $1000 to an artist through this competitive funding program. The winning submission will be selected on the basis of its aesthetic quality, relevance to coastal and marine environments and Connecticut Sea Grant themes as well as its potential impact on non‐traditional audiences. The Connecticut Sea Grant College Program is a unique partnership between the nation’s universities and its primary ocean agency, the National Oceanic and Atmospheric Administration. The University of Connecticut is our State’s Sea Grant College. Our mission is to work towards achieving healthy coastal and marine ecosystems and consequent public benefits by supporting integrated locally and nationally relevant research, outreach, and education programs in partnership with stakeholders. For more information, contact seagrantresearch@uconn.edu. The Space and WIRED are looking to support innovation and will be funding three Creative Fellows to produce a new digital artwork that has the potential to impact the world: politically, socially, technologically, artistically. The winners will each receive a £30,000 prize plus training and exposure. The Creative Fellow will produce an artwork that we won’t have imaged before. Something that makes us think differently. This is an international opportunity so we are open to applications from anyone, in any industry, whether that’s in fine art, game design, community theatre, protest, social media, new technology or any other area of digital culture. Regardless of your training, background or location in the world, we want to hear from you. You need no formal qualifications to apply. Applications are welcomed from anywhere in the world. All you need is a passion for your work and an idea for a piece of digital art/culture. The Fellows’ new work will be shown on The Space and WIRED UK online, they will also receive training and mentoring in addition to the full benefits of being a WIRED Innovation Fellow. The three winning applications will be announced in Spring 2015 and revealed to the public at WIRED2015 in October. The Fellows retain all ownership of their work. For more information, contact creativefellows@thespace.org. The Pierce County Arts Commission works with a limited Small Grant budget to assist projects that provide arts education, programming, or experiences. Projects may be in any arts discipline and should provide arts education, programming, or experiences to residents of unincorporated areas of Pierce County. Provides arts education, programming, or experiences to youth, particularly to lower-income youth, that reside in Pierce County but outside the city limits of Tacoma. Provides arts education, programming, or experiences to areas of Pierce County which are under-served by arts and cultural activities. Applicants must be a tax-exempt organization incorporated as a Washington State non-profit corporation under Internal Revenue Service 501(c)(3) determination and located in Pierce County. Pierce County Arts Commission’s Goals are to increase access to the arts for all Pierce County Residents, develop the arts industry as a viable and significant tool for economic and community development, and celebrate cultural diversity in Pierce County. For more information, contact ksorgen@co.pierce.wa.us. SCULPTURE SPACE, located in Utica, New York invites artists whose focus is sculpture to apply for a two-month residency between September 2015 and September 2016. Depending on funding, eighteen to twenty residents are selectively chosen each year with a stipend of $2,000 awarded to offset costs. We offer a 5,500 square foot shared studio with specialized equipment in addition to five private studios. Applications are accepted from NOVEMBER 1 – DECEMBER 31, 2014. Administration fee of US$10 plus $10 Slideroom fee. Offering two-month residencies and 24 hour access to a studio, Sculpture Space provides emerging, mid-career and established artists with the physical space, technical assistance, specialized equipment, financial support and uninterrupted time to fully engage in artistic exploration. Through works-in-progress receptions, guest lectures, and tours, Sculpture Space also provides artists with opportunities to interact with the public to provide cultural enrichment to the community. For more about Sculpture Space: its history, programming, residents and alumni, please visit: http://www.sculpturespace.org. For more information, contact info@sculpturespace.org.